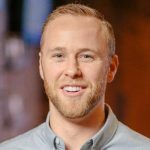 Today on the podcast, we talk to Travis Cunningham about how Village Church is engaging collegiate church planting. Village Church Announces a Plant toward the College Campus: In January 2018, Village Church announced plans to send out Travis Cunningham to plant a church on the 210 corridor of Los Angeles. Known as the Inland Empire, this region has a rich history as a hub and harth of gospel movements. Perhaps no location in north america has been more strategic for starting movements and universities laser focused on taking the gospel to students and to the nations. Listen in as Travis shares his story and journey for planting Story Church in land of awakenings.